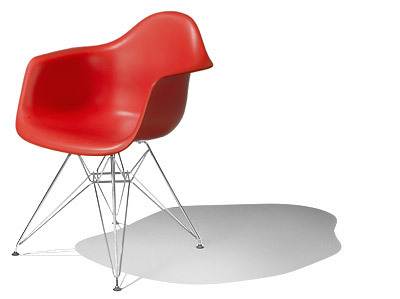 The Eames fiberglass shell chair was really the first affordable plastic chair. 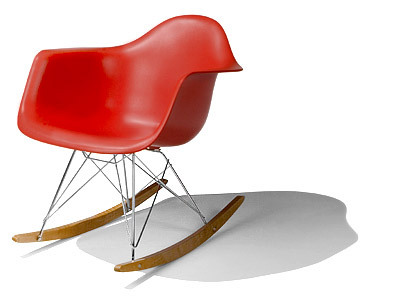 Conceived in the late 1940s this chair design has endured to remain very popular today. 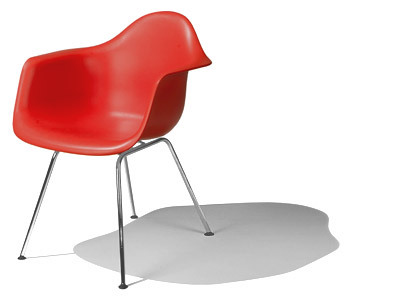 Originally offered with a range of bases, including basic tubular legs, trussed Eiffel tower legs, low lounge bases, as well as rockers, the variety trailed off during the middle years with Herman Miller only offering the basic tubular steel legs. As a result the original chairs with the alternate legs became very valuable collectors items. Unfortunately that worked against it as an affordable chair. Fast forward to today, many other manufacturers have stepped in with affordable copies of the chair, and most notably Modernica has a claim to producing the chairs with the original process on the original molds. So while you can find a decent knock off version for 150$ you are more likely to pay upwards of twice that for a basic tubular base from Herman Miller or Modernica, and more for the other variety's of bases. The good thing however is its fairly easy to find examples from the middle years, produced by Herman Miller with the tubular legs which are not particularly valuable as collectors items. 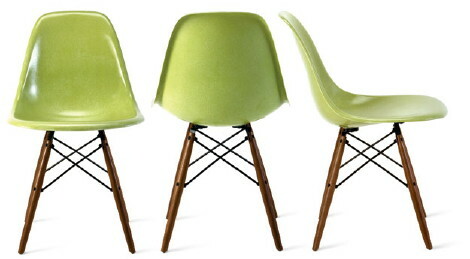 You can often find these for under $100 each made in the 70s, or 80s before the resurgence of interest in the chair. So while this mother of all affordable plastic chairs costs more, you'll be able to find them at our target pricing with a little work. Love the shell chairs! 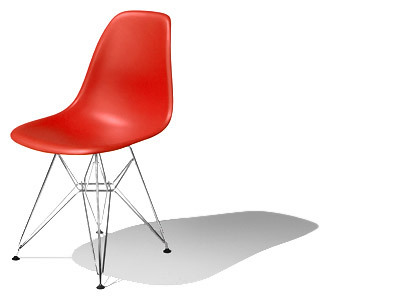 What I find more interesting is that Herman Miller chooses to make the chair from polypropylene, while Modernica uses the traditional fiberglass. It's hard to say which is the better choice: the polypropylene is easier to recycle but probably less durable, while the fiberglass will probably hold up better over time but would be more difficult to recycle. Fiberglass recycling seems to be a specialty business and not something you could just toss in with your household bottles and cans.. Luckily I got some hand-me-down 70's shell chairs from my grandfather which will probably last another 30 years! my 70's era Herman Miller shell chairs are still fiberglass - I'm not sure when they made the change. I'm not a big fan of polypropolyne - its a great material for a chair back and seat, strong and flexible, but it gets dirty and won't come clean. Something about polyprop attracts this very fine black dust, gets into the grain of any surface texture and is impossible to wash off.